Animated GIFs are everyone’s new favorite way of expressing themselves. They’ve become the moving equivalent of the emoticon, so it can be helpful to know how to create your own. The GIF and its animated cousin have been around for almost 30 years. GIFs, which stands for Graphics Interchange Format, are no longer widely used for still images, but the animated variant has overwhelmingly demonstrated its staying power. What Is an Animated GIF? There is a distinct difference between GIFs and animated GIFs. GIFs don’t have to move, and were at one time the standard image compression format before the superior JPEG and PNG formats came along. An animated GIF is really nothing more than a series of images or frames that are displayed in succession, kind of like a cartoon flipbook. 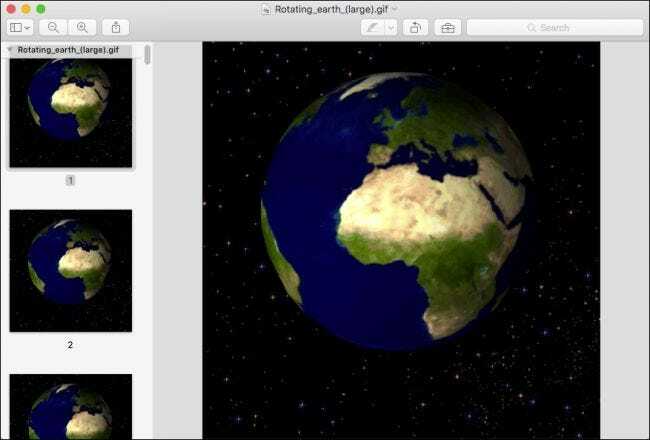 For example, this GIF of a spinning globe is really just 44 individual pictures shown in rapid succession, looping endlessly to give the impression that the Earth is continuously rotating on its axis. If we open this image in an editor such as Preview, we can see its composition. Creating GIFs used to be somewhat more difficult, but with the format’s newfound popularity, there are all kinds of specialized methods to roll your own. Today, we want to show you how to do so on desktops and mobile devices. Probably the simplest method for creating an animated GIF on a desktop computer is to just use one of the myriad of websites that have appeared to take advantage of the animated GIF phenomenon. Perhaps the most well-known of these sites is Giphy, so we’ll use that as our example today. When it comes to making animated GIFs, the hard part isn’t really making the GIF, but finding a source for the GIF. You have to have some kind of video file, or a series of still photos from which to create it. 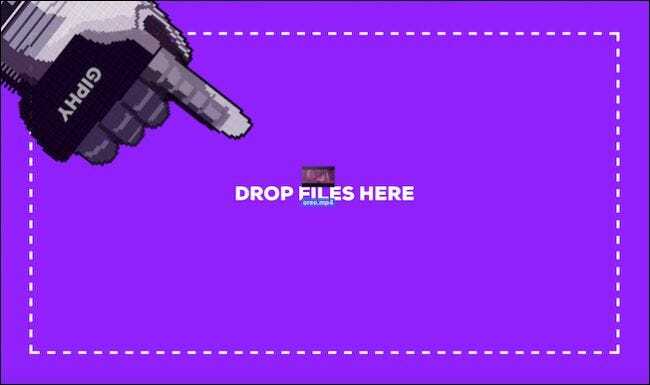 That part is beyond the scope of this article, so just know that you will need to have a video file on hand, or at least have a video URL, before you can create your own animated GIF. 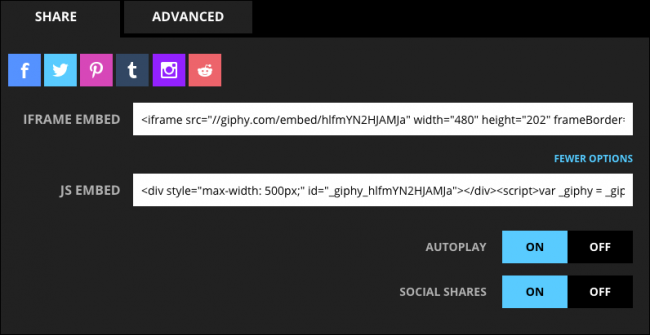 Giphy lets you both upload video files as well point to online videos, which makes GIF creation something of a breeze. Assuming that you do have some sort of favorite video clip you want to use, let’s briefly describe what’s involved. First, any video file you upload cannot exceed 100MB. GIFs are intended to be short, so this shouldn’t be too much of a limitation. If you’re uploading something beyond 100MB, then it’s unlikely to be very effective as a GIF. On the Giphy website, click “Create” to get started. This opens the GIF Maker, which lets you upload video files or direct it to a YouTube link. If you want to actually create an animated GIF from a series of pictures and other GIFs, then you can employ the slideshow option. Giphy has two other options you can utilize including the ability to add captions to your GIFs and to edit them so as to include animated stickers and filters. In this example, we’re going to convert a video file to an animated GIF. We already have a video file on hand, which we drop onto the Giphy interface. You can also paste in a YouTube URL if the video is available on YouTube (though we’ll feature an even easier way to do that in the next section). 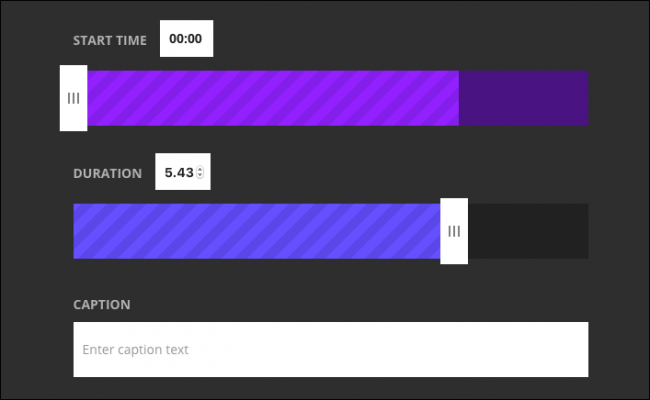 Once you have your video file (<100MB) uploaded, you’ll have an opportunity to adjust the start time and duration, as well as add a caption. Add some tags and a source URL, both of which are optional, then click “Create GIF”. Once your GIF is created, you can share it via an assortment of social networks, or embed it on your web page or blog. Perhaps more usefully, the Advanced tab will let you download your GIF to your computer. Giphy works great if you’re using a desktop, but if you’re on a mobile phone, there are other ways to easily create animated GIFs using apps specifically designed for that purpose. Giphy has a tool for converting YouTube videos to GIF, but Giphy isn’t ideal for mobile platforms. That doesn’t necessarily matter because converting a YouTube video to GIF is actually quite easy on any platform. 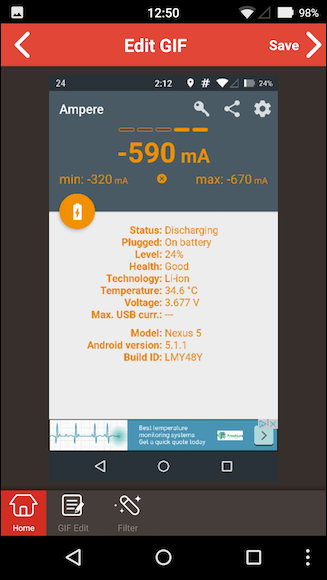 Let’s use an Android device to demonstrate how this is done. Note, you have to use YouTube in a web browser for this to work. Don’t try to do it from the YouTube app. First, find a video you want to convert. 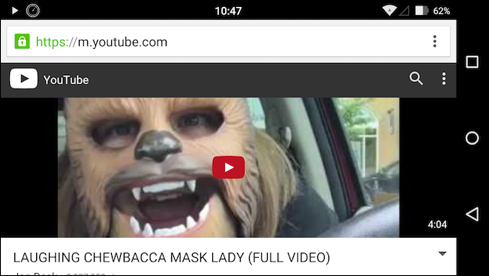 Tap the location bar to reveal the full URL and insert “gif” in front of YouTube in the URL, as shown below. Press Enter. You’ll be transported to gifs.com (another GIF-making website you could use for all your GIFs if you like). You can now adjust the start and end time to suit when and long long you want your GIF to run. If you’re doing this on a mobile device, it might be easier to watch the video first, and note these start and end times. When you’re ready, tap “Create GIF”. 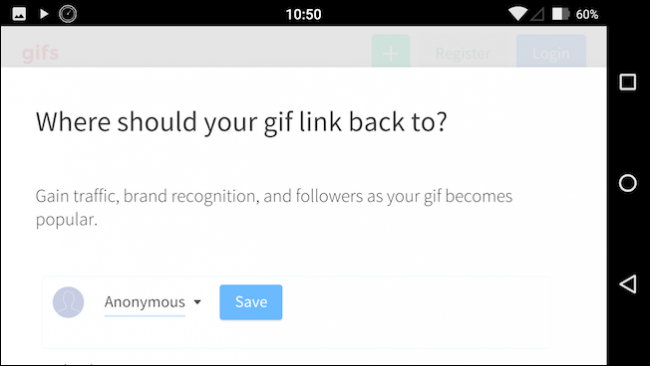 You’re now going to be asked where you want your GIF to link back to, from an array of social networks. In our particular case, we want to have the actual physical GIF file, so we tap “Anonymous” and we’ll be allowed to save our file. 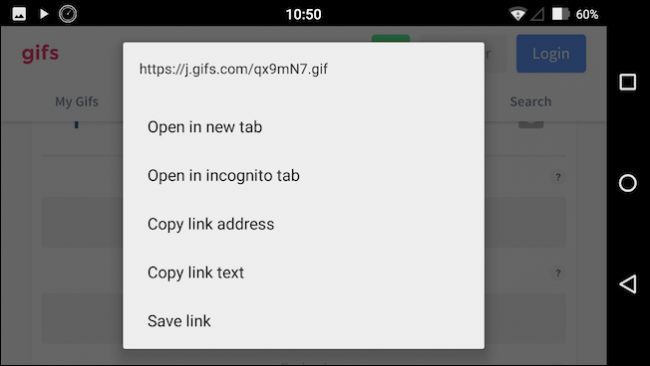 Once we tap “Save” we can either copy the GIF url or download the GIF file. Press “Hold to copy” and then choose your option, which in our case is “Save link”. Your GIF file will now be downloaded to your device. That’s probably the easiest way to convert a part or section of a YouTube video to an animated GIF. As you might assume, both iOS and Android have many GIF-making options available. On iPhone, we settled on GifBoom, while on Android, the aptly-named GIF Maker stood out from the rest. Let’s discuss each in brief to simply give you an idea of what these two apps offer, especially the essential basic functions we think you need to know about. 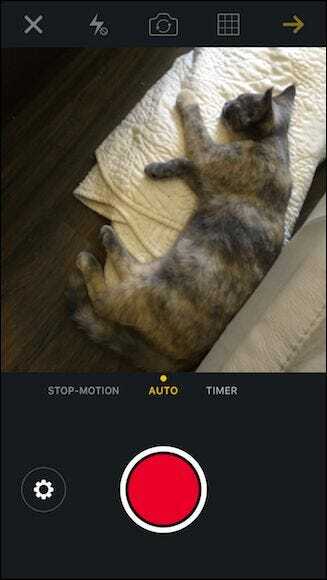 GIF Maker seems to be one of the simplest and best rated GIF making app we found for Android. GIF Maker provides the two essential functions we want to see in such an application: the ability to shoot a video for conversion to a GIF, as well as the ability to cobble a GIF together from files you already possess. 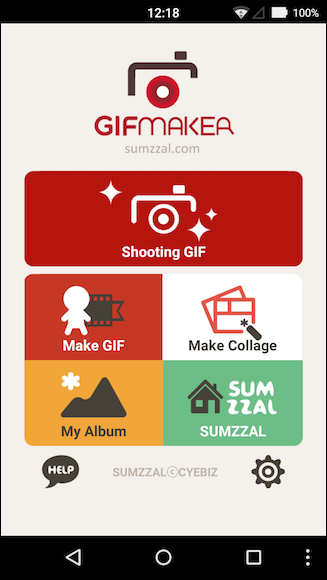 In shooting a GIF, GIF Maker has a number of features you can explore including the ability to shoot manually or a selfie. If you want to make a GIF from pre-existing content, then you’ll be able to select a group of photos, ordering them to your liking. Regardless of whether you shoot a new GIF or create one, you’ll also need to edit it before you can save it. Once you’re done editing, GIF Maker will provide some options as to what to do with it including the ability to share it via the most popular social networks. 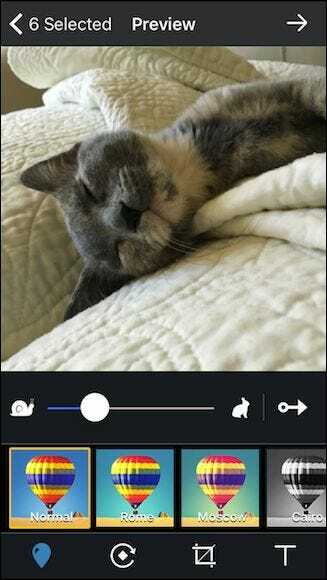 GIF Maker is likely to please most people using the Android platform, and best of all it is free to use. 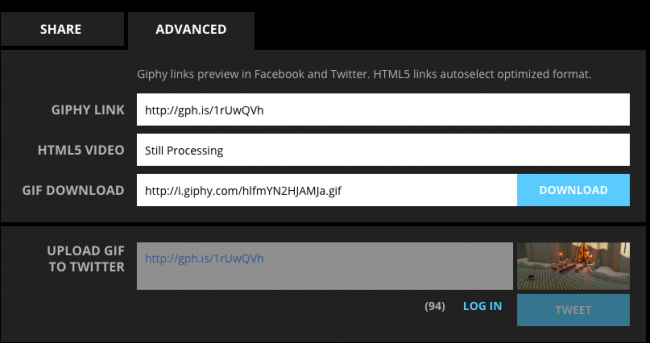 We found it fairly easy and straightforward to quickly make GIFs in just a few minutes. 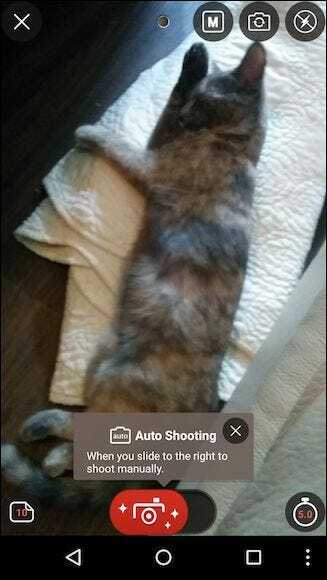 There are quite a few GIF-making titles in the App Store, but in the end, we found one (GifBoom Pro) that really fit the bill as cleanly the aforementioned GIF Maker (there is a version of GifBoom available for Android in the Play Store, but it’s not as highly rated as GIF Maker). There are two flavors of GifBoom available for iPhone: GifBoom and GifBoom Pro. GifBoom is more network-oriented and seems intended more for sharing. For the purposes of simply making animated GIFs, we deferred to the standalone GifBoom Pro for our purposes. 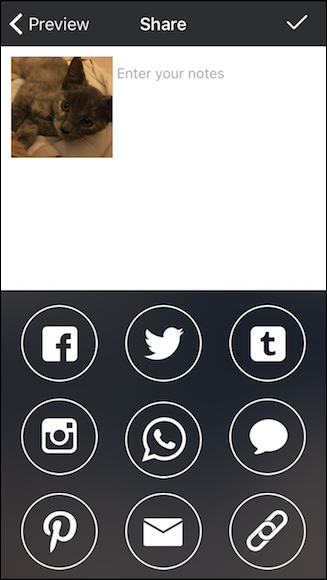 The GifBoom Pro interface is dead simple to use. 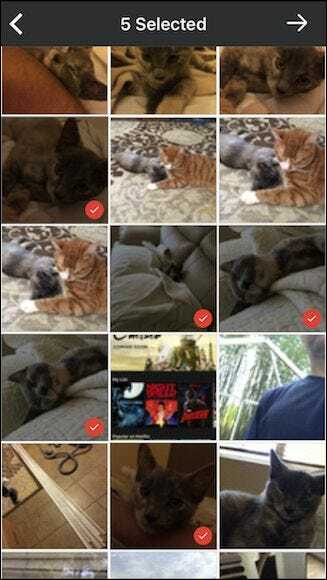 If you have any GIFs stored on your device, they’ll be displayed in the main interface. 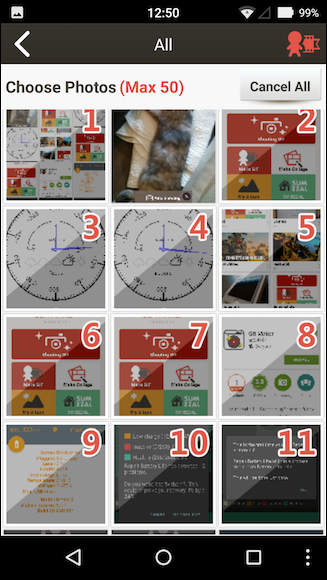 Along the bottom row, you’ll find four buttons to (left to right) open the camera and make a GIF, create a GIF from still media on your phone, create a GIF from videos, and the fourth option will let you take an existing GIF and edit it to your liking. 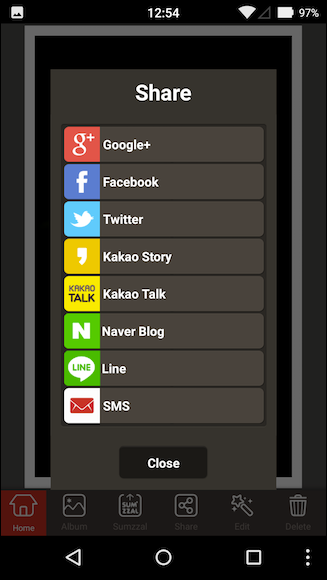 For example, if we tap the camera icon, we get a full-featured camera with several options. Here, we’ve tapped on the photos option and we can now go through and select every frame in our new GIF (up to 60). Once you’ve selected your photos, you’ll be able to adjust things like the speed, add filters, text, and so forth. Finally, you can share your new creation among a plethora of social networks, or just simply save it to your device for your own private enjoyment. 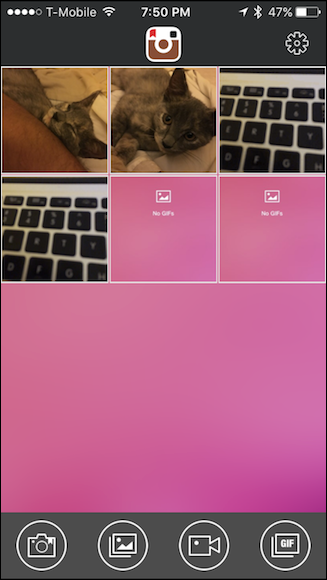 Both of these apps, GIF Maker and GifBoom Pro, are very simple to use and you should have no problem figuring all their various features and options. In fact, GIF-making as whole, whether it’s on a desktop computer or mobile platform has become as simple as making a meme or publishing a video on YouTube. Really, the only thing then that you’ve left to figure out is what you want to make.